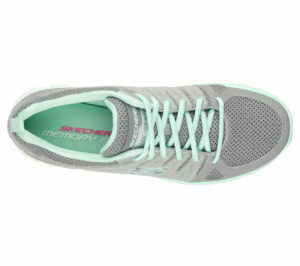 The Synergy Look Book is women's casual sneaker. A majority of buyers find this sneaker a good buy as the price is sweet and the shoe is remarkably comfy. Some users bought them for wearing at work, especially those who are on their feet long hours doing their jobs. The shoe comes in black and gray, with leather and mesh panels. 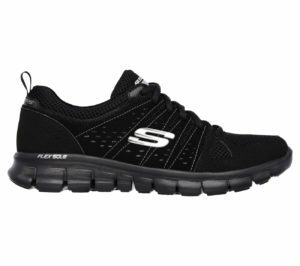 It has a look of a training sneaker, and is well-equipped with memory foam insoles and a shock absorbing flexsole. A lot of buyers are satisfied that the shoe offers greater comfort than expected. 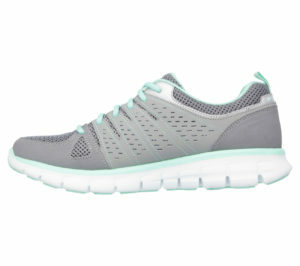 The sneaker is surprising comfy and inexpensive! People find the shoes are even cheaper online. A good shoe for people on their feet all day at work. The shoe is also supportive and shock absorbing. It is flexible and has good traction. It is a wide-feet friendly sneaker. Although it is a comfy shoe, some wearers find the look is not too attractive, or boring as a normal trainer shoe. A user found the lining of the shoe was ripped in the first week. The Synergy Look Book features a sporty look with basic color tones in black, white and grey. The walking shoe is built with solid comfy features and with great flexibility and breathability from its memory foam insole, supportive and shock absorbing midsole, and flexible sole with good traction. It is not built as a performance or running shoe, but it is a perfect casual sneaker for walking and running errands; or a great working shoe as many people have found out. Some users wearing the shoe work 12 hours shifts as a nurse; some are on shift work for 4-6 hours a day 6 days a week. They are happy with this shoe as it greatly reduces the fatigue that could happen at the end of the shift. 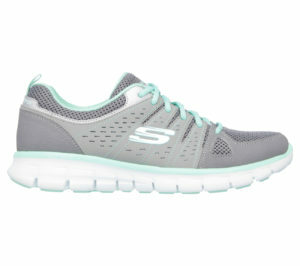 This shoe offers wider toe box; some people have trouble find a comfy sneaker that is wide enough for them, and they find this shoe is capable of fitting their feet nicely! 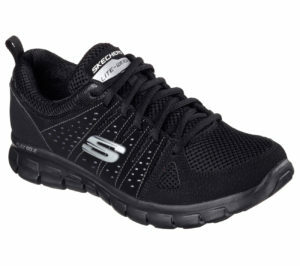 These shoes are certainly hard working and, relatively cheap for the great amount of comfort it provides. The shoe is generally true to size. The shoe can fit wide feet pretty well too. The shoe is well packed with comfy features and is comfortable right out of the box. 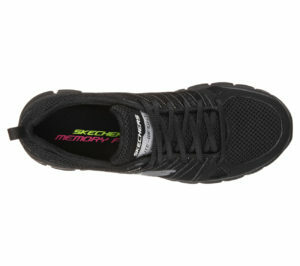 The mesh panels ensure the feet stay cool and breathable during long hours of wearing. The sneaker comes with a smooth leather upper and mesh fabric panels for cooling. The shoe has great breathability with extra perforation detailing on side panels. The padded collar and tongue offer extra comfort, giving a better fit and avoiding rubbing.